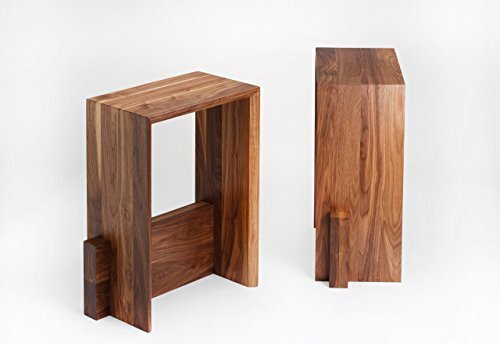 Handmade, contemporary wooden bar stool. Made of solid black walnut, American cherry, or other timbers of your choice. Constructed using traditional half-lap and mortise-tenon joinery techniques, without any screws or nails. Clean lines, functional comfort, and genuine quality that is built for your lifetime and beyond.